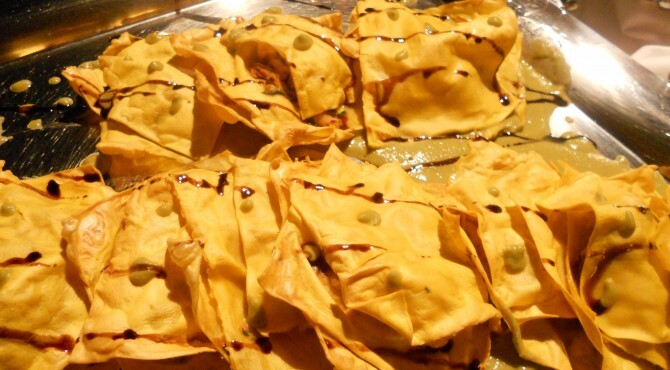 pasta | CUCINA ITALIANA – ITALIAN FOOD | Il cibo con il sole dentro – With the sun inside! Sauté finely chopped onion in the pan, crushed garlic, a few leaves of basil and grated ginger. Pour in the white wine and add the cauliflower. Bring to a lengthening cooking with milk and water (in equal amounts). Season with salt and when cooked, pass them to the blender. 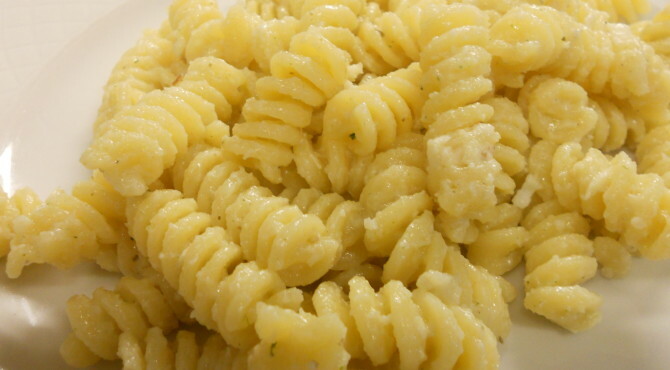 When the pasta is cooked, drain and put it in the pan with the cauliflower puree, add the grated ricotta and chives thinly sliced. 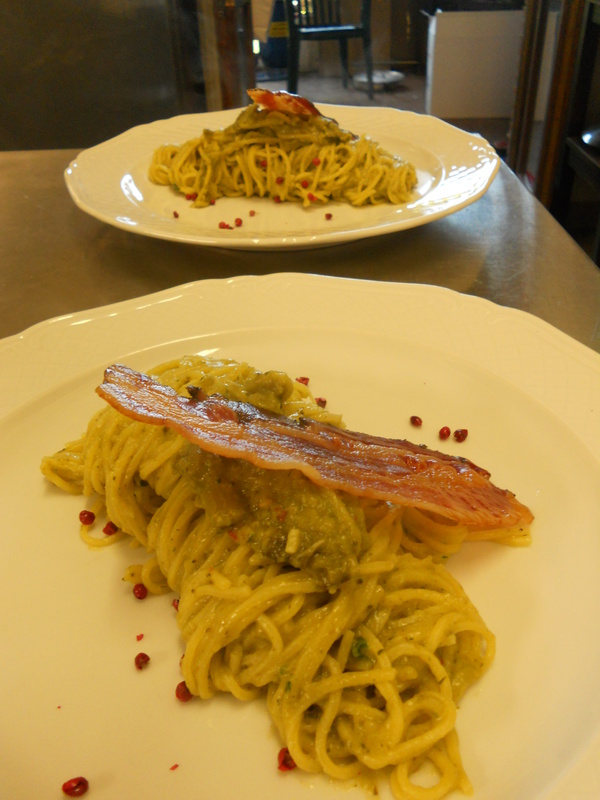 Before fresh cabbages disappear from the market, it is worth to make this pasta! Cut the cabbage into thin strips. In a frying pan with olive oil, place the shallot and garlic finely chopped,and fry. Add the cabbage and cook, cover, for 15 minutes, with white wine and half glass of water. When cooked, season with salt and pepper. In the meantime soft cheeses in a water bath, and when totally melted, mix the cream and milk. 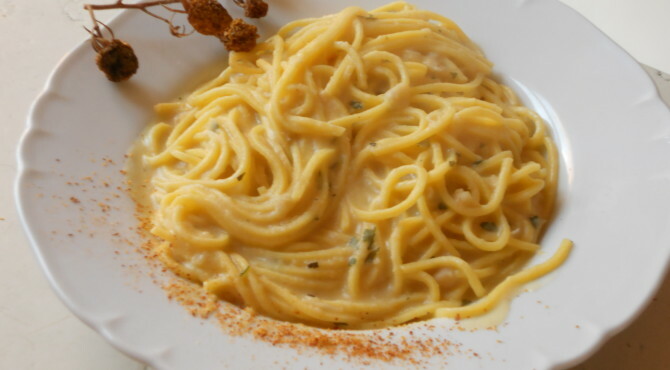 Cook the pasta in salted water, and when it is “al dente” sautè with -fried cabbage, mix with melted cheese and sprinkle with parsley. Cut the onion into thin slices and garlic into small pieces and brown all in a pan with olive oil. Add sliced olives, parsley and chives thinly sliced, thyme, diced tomatoes and blend with the white wine. Cook for 10 minutes.Add salt and pepper and turn it off. 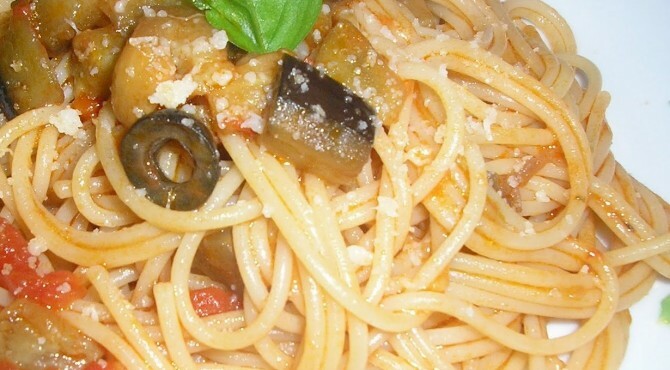 Cut the eggplant into small cubes and fry in oil.. Cook the linguine in salted water, and when they are al dente, drain and sauté in the pan with the tomato sauce. Add the basil and the fried eggplant and stir with a little ‘olive oil. 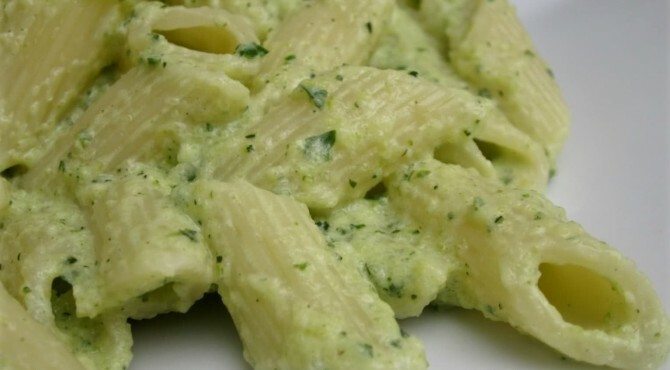 Before serving, grate over the pasta a nice amount of salted ricotta. 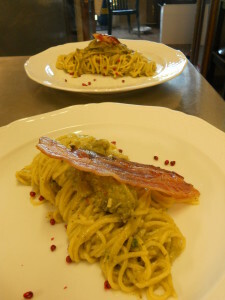 Facciamo le melanzane a dadini e facciamole cuocere in olio ben caldo con l’aglio a pezzetti e l’erba cipollina. La cottura delle melanzane deve risultare quasi come se fossero fritte. Doriamo la pancetta in una padellina a parte e aggiungiamola al composto. 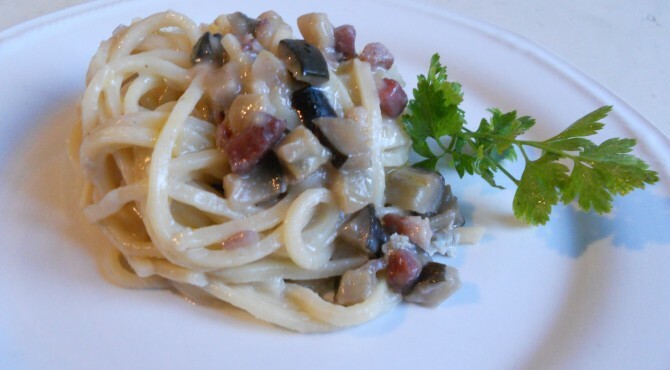 Scoliamo gli umbricelli e ripassiamoli nella padella delle melanzane, aggiungendo il gorgonzola a pezzetti ed il mascarpone, sale e peperoncino. Cut the eggplant into small cubes and cook it in hot oil with chopped garlic and chives. Cook the eggplant until almost fried. Sautè the bacon in another frying pan and once fried put it into the eggplant. Drain the umbricelli and put it in the sauce, adding gorgonzola and mascarpone cheese, pepper.